IMAGINE living out your retirement in one of the world's greatest buildings. Seems far-fetched? Well think again. 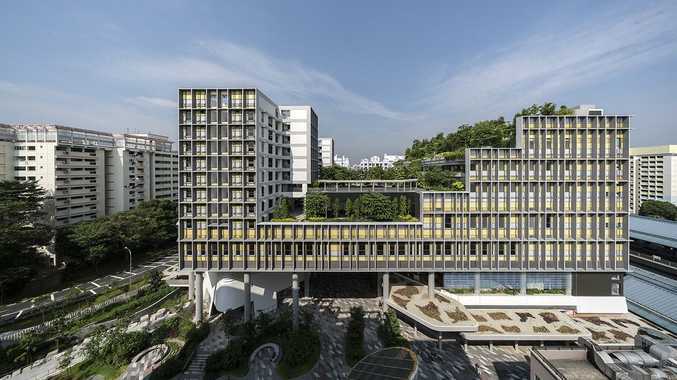 Singaporean retirement community Kampung Admiralty has taken out the 2018 Building of the Year Award at the 'Oscars of Architecture' - the World Architecture Festival in Amsterdam. The 11-storey mixed-use village beat 535 projects from nearly 60 countries to grab top spot in the renowned architectural competition. The historic building - it's the country's first integrated public development - features residential levels, medical facilities, retail, restaurants, and cafes all within a single ventilated structure. However, the rooftop jungle is the emerald in the building's crown and keeps true to the designer's, WOHA Architects, ethos of integrating social and environmental principles. "The judges admired the project for the way in which it dealt with the universal condition of longevity and health treatments, social housing provision, and commercial space, which enabled substantial public realm benefits," World Architecture Festival Program Director Paul Finch said. 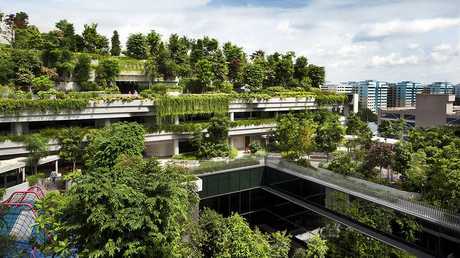 "This hybrid building also incorporates a huge amount of greenery (more than 100% of its footprint) in a series of layered levels which have generated welcome biodiversity. Kampung Admiralty is the third building from Singapore to claim the top prize and continues WOHA Architects' amazing run of accolades.